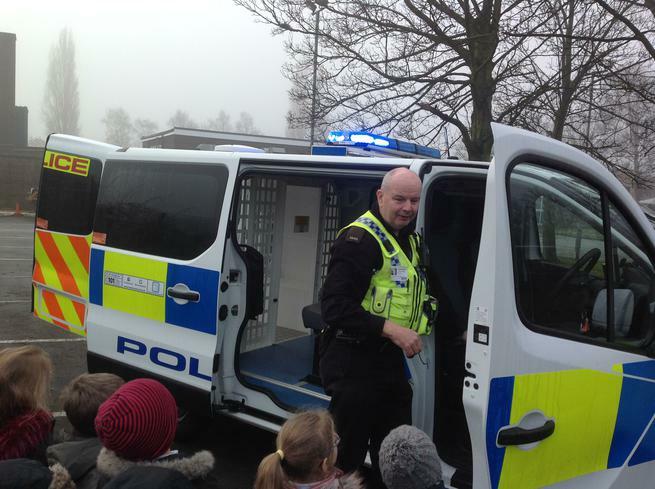 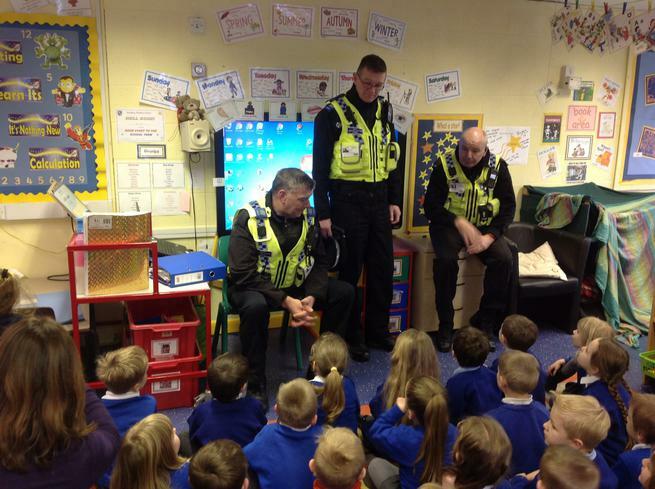 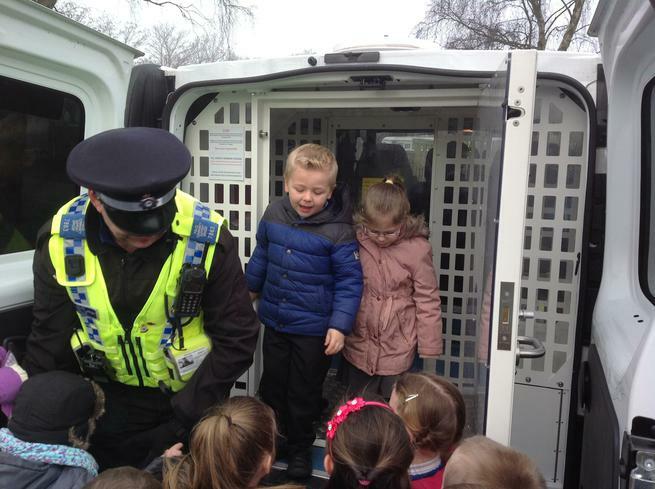 What a great morning with PC Martin and his friends! 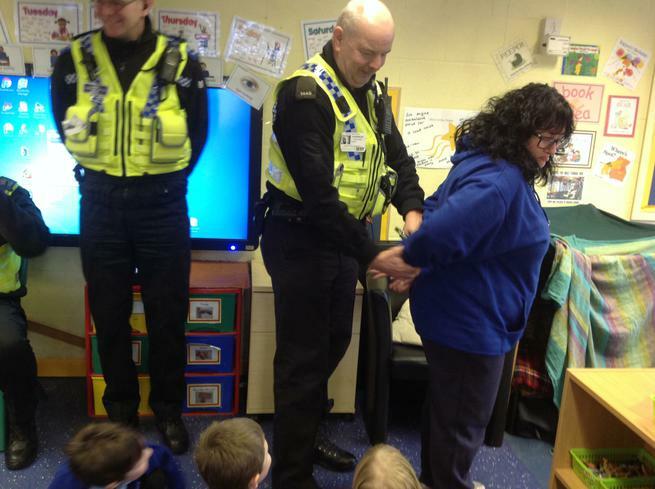 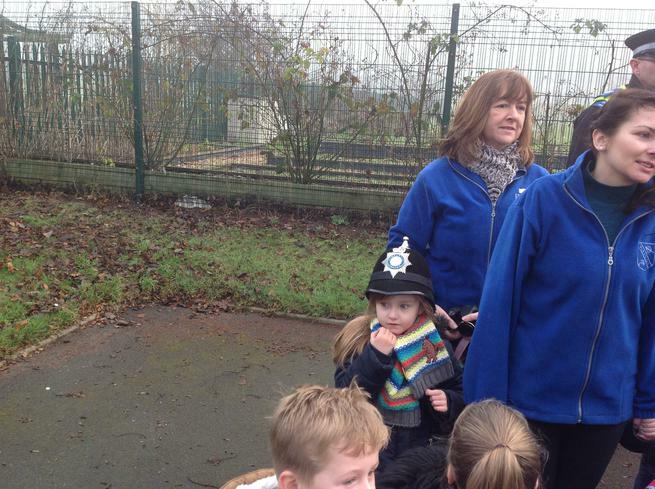 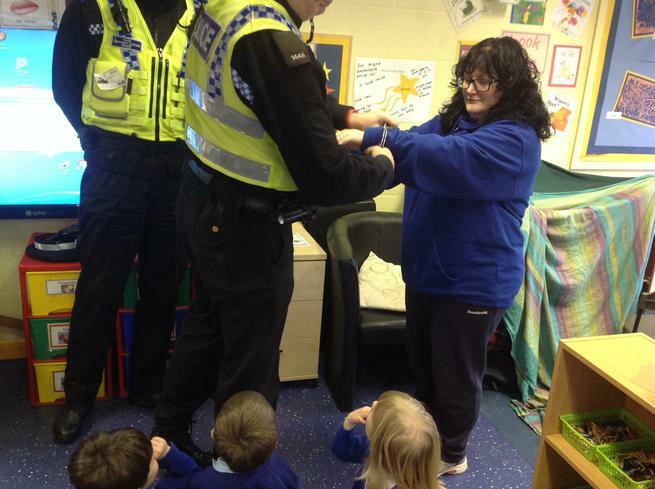 They showed us their handcuffs and locked Mrs Suddaby up! 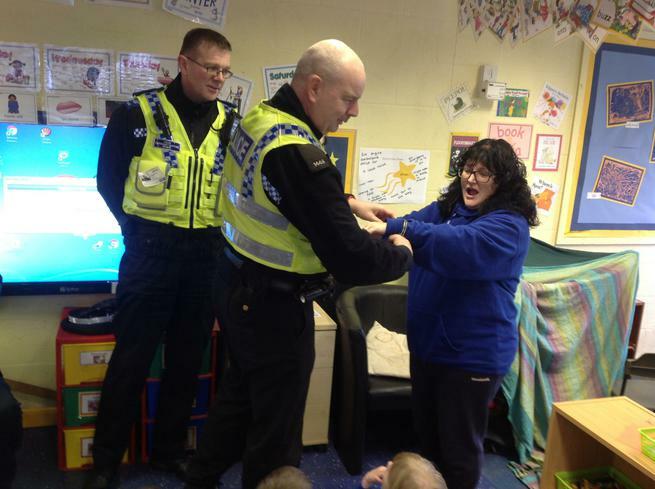 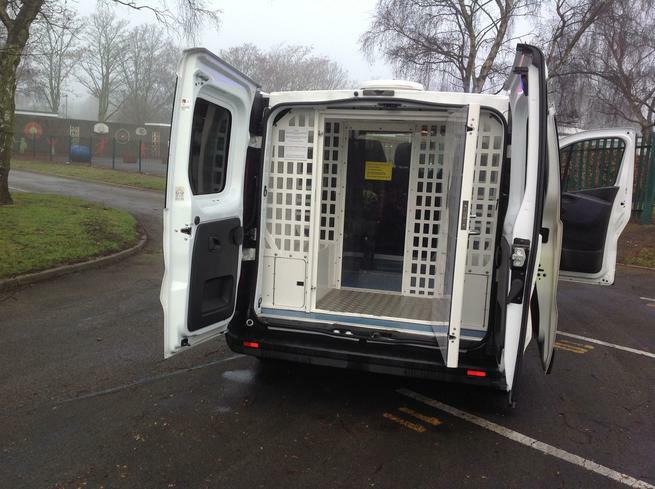 They also demonstrated their radio and did a police check on Miss Earl - you will be pleased to know that it came back clear and she is not currently wanted! 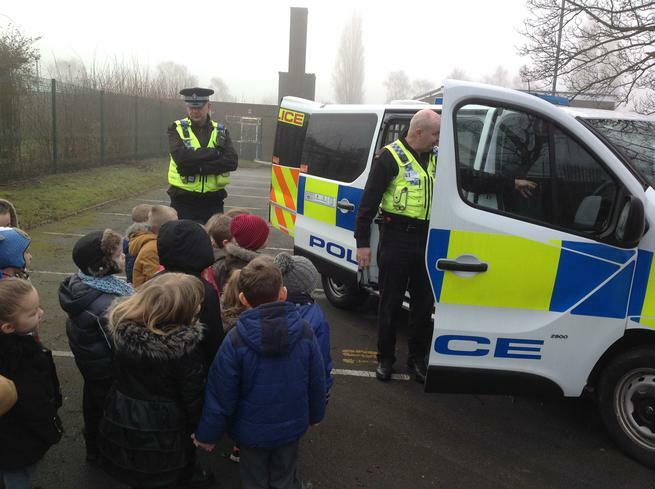 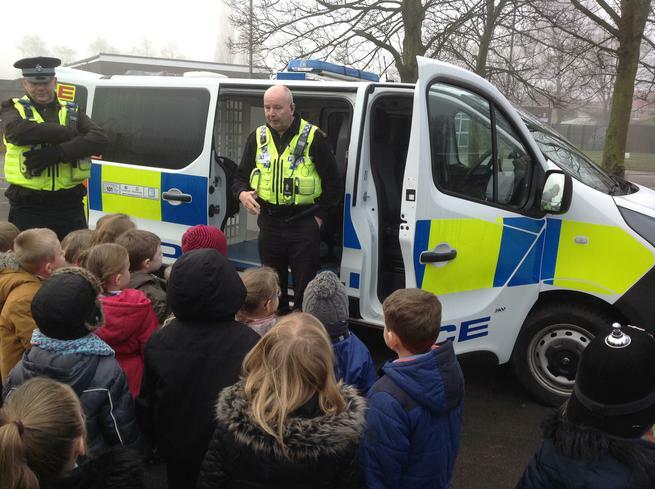 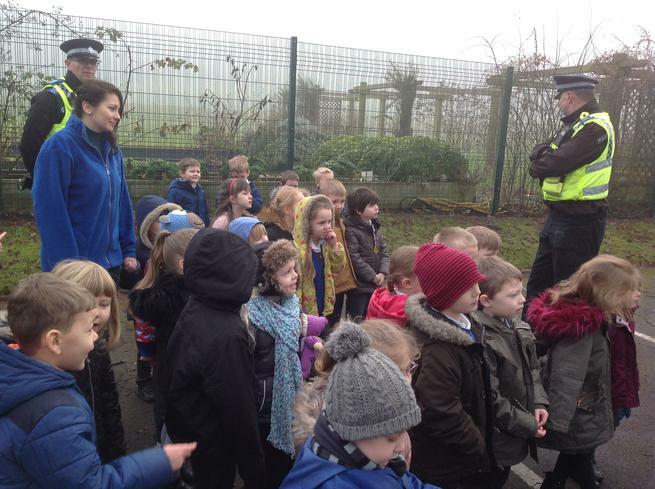 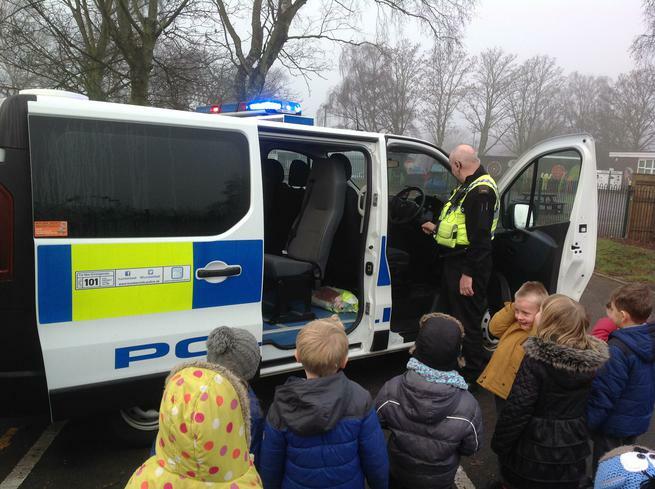 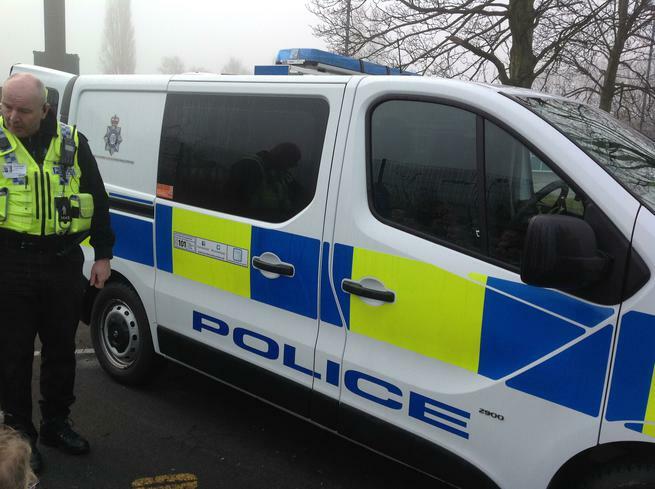 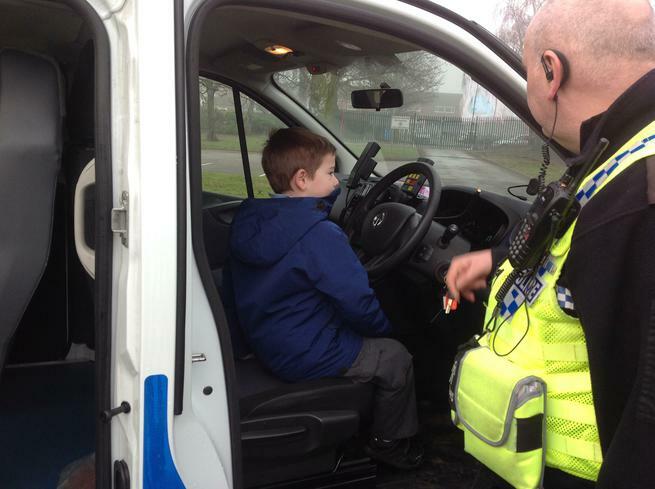 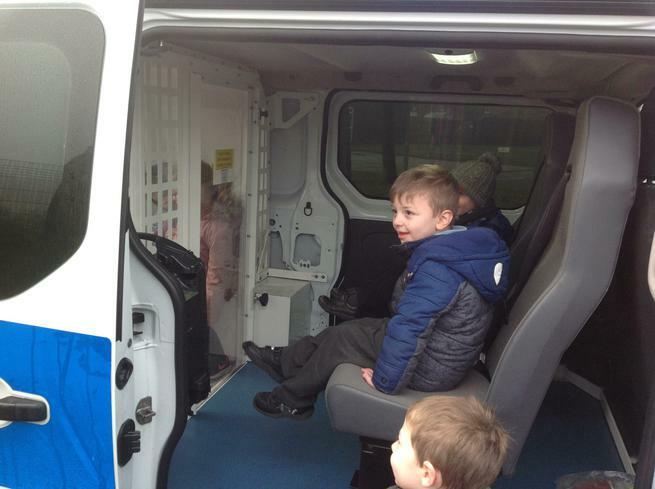 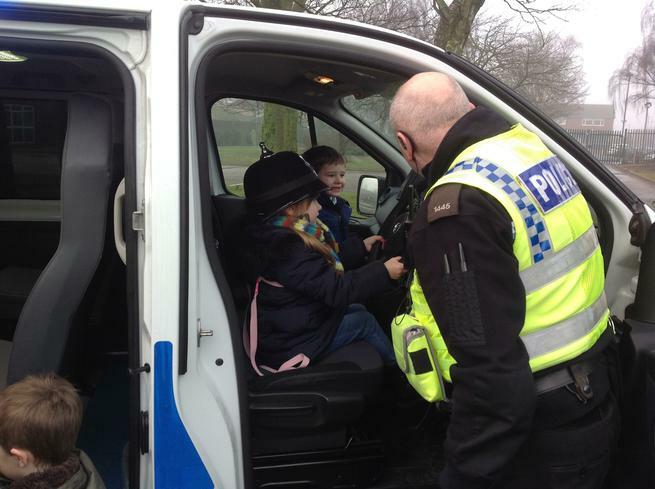 We went out to investigate the police van. 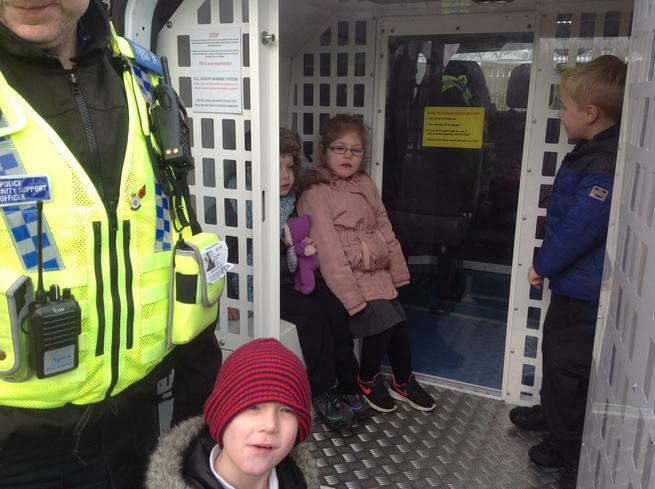 We were allowed to go inside. 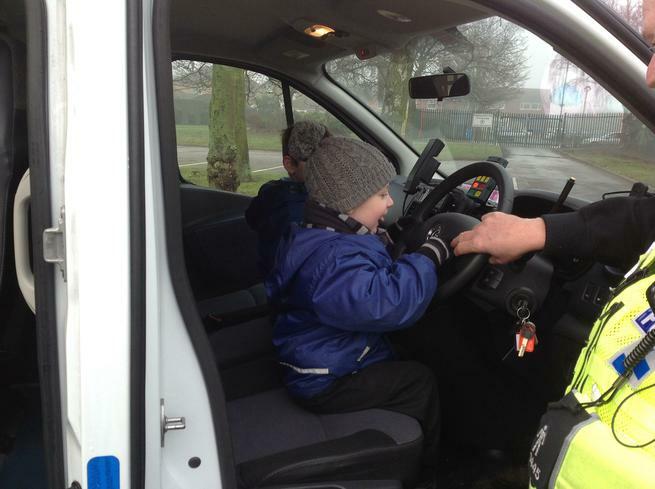 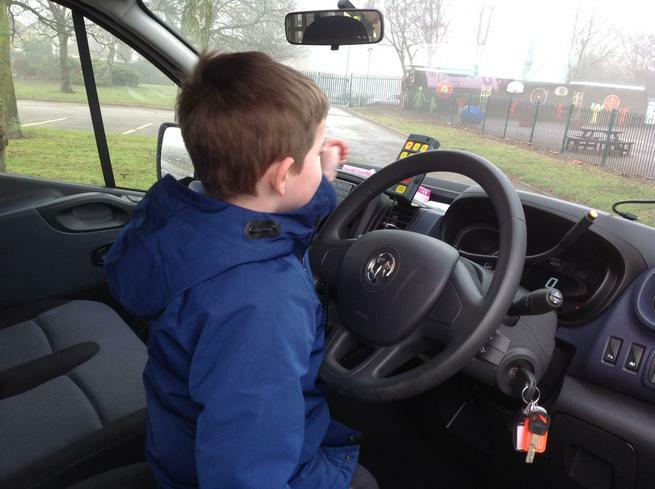 Some of us took turns to operate the lights and the siren! 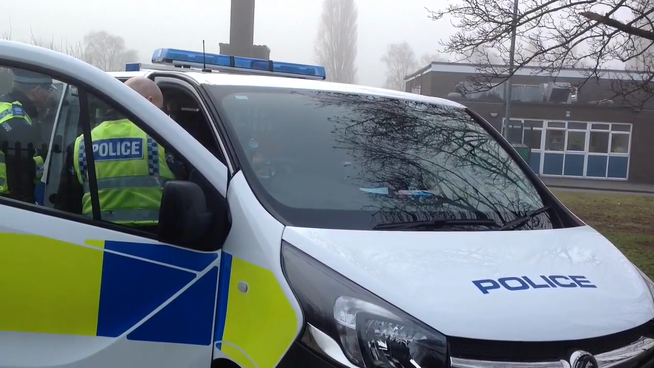 We flattened the battery and PC Martin had to radio for some help!